Avada Has Unlimited Color Options! Avada includes a backend color picker in the theme options that allows you to easily change the color throughout the entire theme. Simply select the color picker and pick a new color, or insert a hex or rgb number and the new color value will be implemented throughout the entire site. We put time and effort into building Avada, making sure that all buttons, bullets, links, text, roll overs and other items were created with CSS3 so they could be manipulated by the color picker. The beautifully made CSS# buttons with gradients and roll overs can easily be changed to any color you desire. Enjoy! "Dr. Gavin is a great educated dentist with admirable character and has a friendly professional staff to back him up. No pain, great outcome." "With restorative dentistry and orthodontics Dr. Gavin has given me back my smile and I am eternally grateful." "I have always received prompt, courteous care and have been made to feel welcomed and appreciated." "As the parents of 3 young children, it is a relief for us to not have to “force” our kinds to visit the dentist. Thanks to the little ways the staff creates a fun, kid-friendly environment our kids feel happy and comfortable during their visits." "After having a difficult time finding a dentist we were happy with, we are glad to find a place that we continually have good experiences with." "We are always greeted by name and with a smile upon entering the building, and we are confident that we are receiving the best dental care from Dr. Gavin and his team." "Valley Dental exemplifies a harmonious balance of “hometown office”, while providing dental care with state of the art equipment." "There are no words to express my delight at the cosmetic work I received from Dr. Gavin. I love my smile! Receiving dental health care for my daughter and I at Valley Dental has been wonderful and can’t be surpassed. The staff feels like extended family to me." "I wanted to thank everyone at Valley Dental. I came in for a filling that I had been dreading. Thanks to the comfort provided by your establishment and staff, I left today thinking to myself "hey I kinda love it here!" Dentistry is so much more than drilling, scraping and sucking, it's about making people with fears see that it can be a relaxing and comfortable experience.Thank you to everyone! Best dentist in the state!" "You are wonderful and caring. Anyone who feels a little afraid or unsure of the dentist needs to give Valley Dental a try. They care and will take the time you need to make you feel comfortable!" 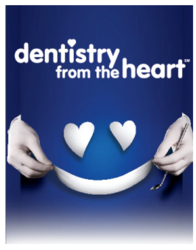 Valley Dental is a proud supporter of Dentistry From The Heart. Every year our office hosts a free dental care event to support La Crosse County residents by providing free dental services to the community on a first come-first served basis.